Overview or detailed view? With the Leica Duovid you stay flexible. With only two quick adjustments you can switch between the two levels of magnification and use the binoculars for short or long distances, just as you need them. This unique advantage makes the Leica Duovid a handy multi-talent in any situation. 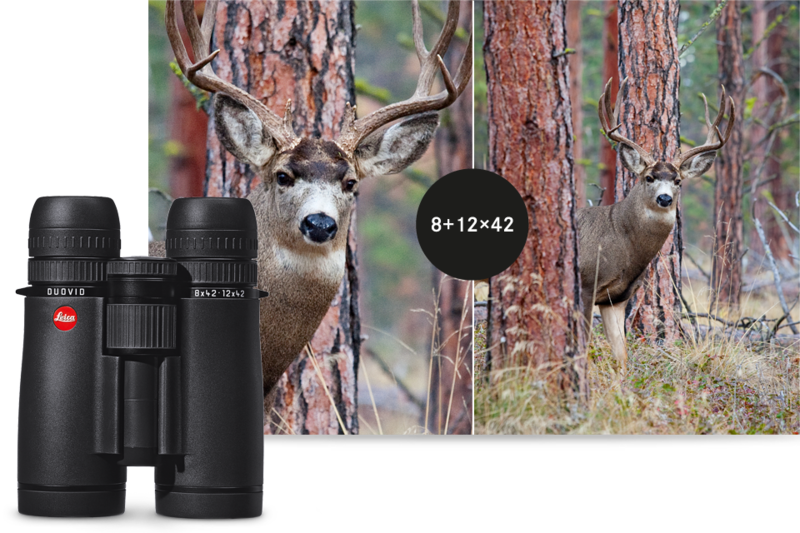 See for yourself and find out how you can benefit twice from these binoculars.